Today’s wedding is an explosion of color & joy that is absolutely a feast for the eyes! 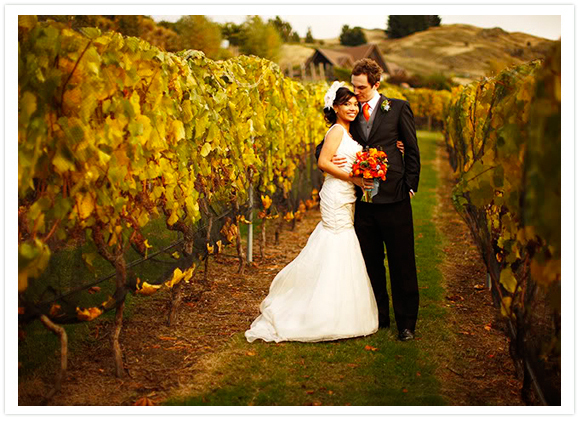 As if a destination wedding in Stoneridge Queenstown, New Zealand was not enough to have a perfect celebration of love. Photographed by Mango Red, this intimate affair captured our hearts with all its meaningful style & rich colors. The Couple. 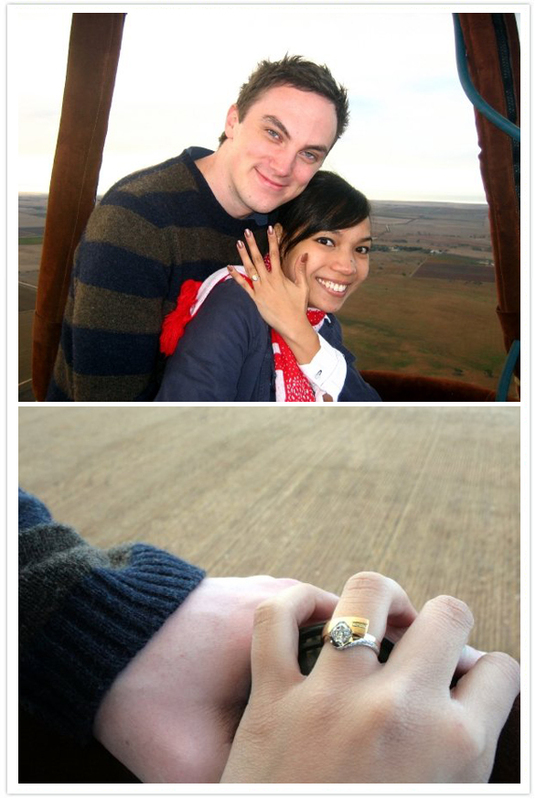 Steve & Kaisy’s love story started in Singapore where they met 3 years ago. Both of them are marketing managers for a well-known international company & are bounded by the same goals, values & appreciation for life. Kaisy loves traveling & Steve loves chess. Despite their seemingly opposite likes & quirks, they make everything work! Who would not agree that this is but a PERFECT place not just for weddings! The Design. 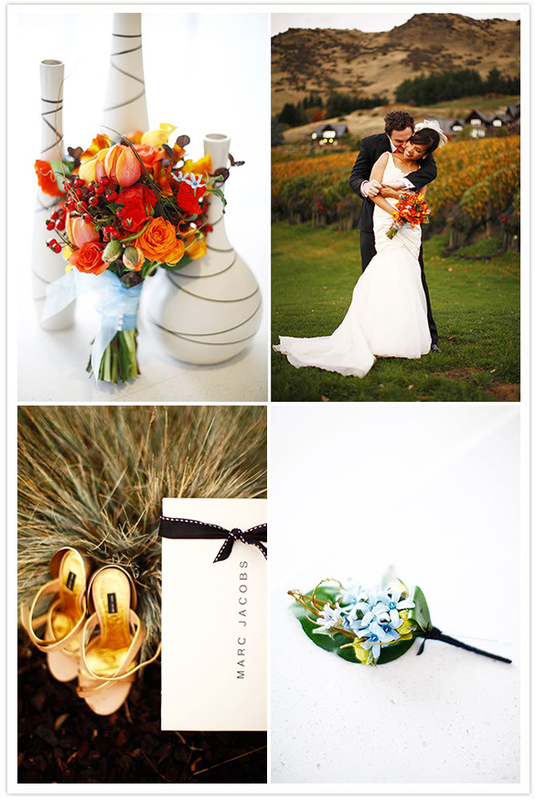 Having “summer in autumn” as their theme, they celebrated their day with bright colors of blue, orange & brown. The Look. Kaisy wore a mermaid cut Vera Wang gown that had a vogue quality that she adored, and it embodied the sexiness & romantic look she wanted. With her Marc Jacob heart shaped wedge heels, she looked every inch perfectly put together . Her sister opted to stand out with an orange Jil Sander Spring ’09 dress. Her maid of honor (Kaisy’s younger sister) & the bridesmaids wore blue Victoria Secret convertible dresses. Steve was dashing in his Coloc suit & bright orange tie (inspired by suits worn in an episode of The Contender). 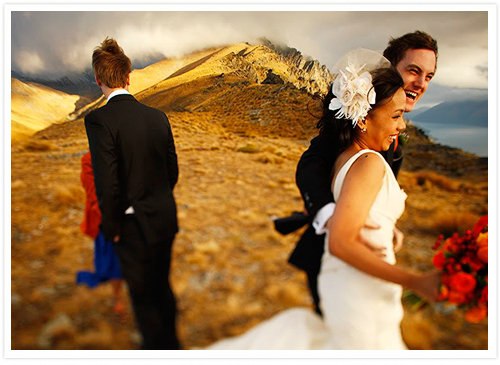 Check out more of Kaisy & Steve’s big day with this breathtaking film by Joel Salindong via Vimeo. Thank you so much for sharing your wonderful wedding with us Steve & Kaisy!